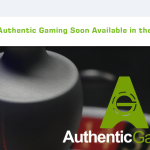 If there’s one thing Netent is good at its great game concepts. Take a look at Halloween Jack. Here we find a Halloween themed video slot, with Jack and the Beanstalk Mechanics, featuring jack-o-lanterns. Fantastic. Find an RTP 96.28% and a medium Volatility. If you know Jack and the Beanstalk, you will recognize the moving wilds, lantern collections and expanded symbols during free spins as well! 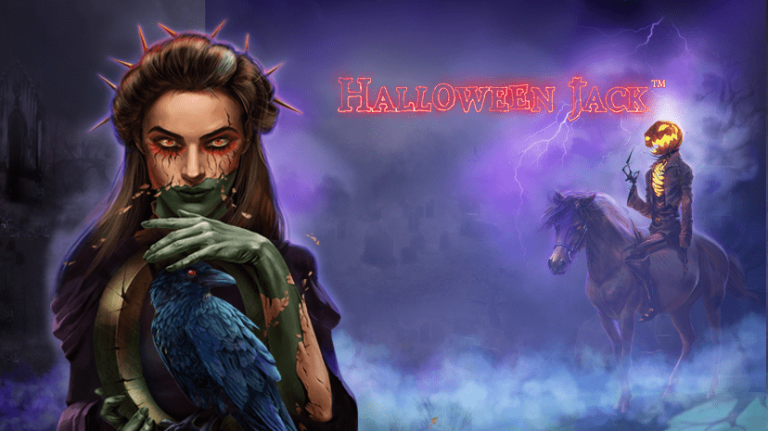 If you are a fan of dark themed games, you will definitely love the design and music in Halloween Jack. - First of all, all symbols are beautifully designed, and stay true to the theme. Even the lower paying card symbols look great! Any feature trigger has their own smooth animation. Take the anticipation spins whenever two scatters lands on the reels for example! (Look for ghosts). Netent ties the theme togehter with a broad spectre of sound effects, creating an incredibly spooky atmosphere. If that’s not enough, you will even find a nice little short story to accompany the game on the last paytable page. As mentioned, we find the exact same features as we do in Jack and the Beanstalk in Halloween Jack. 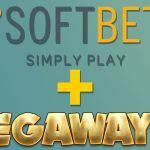 This means moving wilds, a collection of symbols, and expanded wilds during free spins whenever they are triggered by the scatter symbols. The moving wild appears on reels 1-5 during the base game and trigger a respins whenever they appear, moving one space to the left. During the re-spins, the wilds will appear on reels 1-4 only. 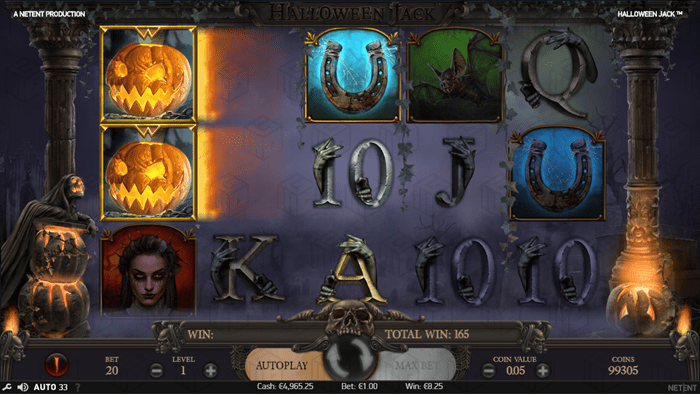 As with the other title, you will find a 3x Coin multiplier on all wild wins in Halloween Jack as well. 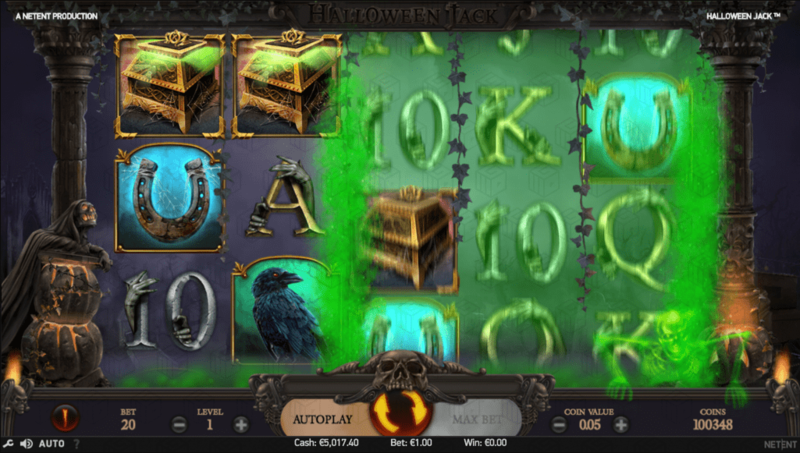 To activate the free spins in Halloween jack all you have to do is land three scatter symnbols during the base game to receive 10 spins. 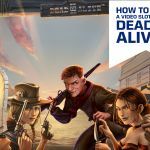 - If you manage to land a wild in addition, it will come back when the free spins rounds are over. During the free-spins you can collect lanterns that grant bigger wilds. They only appear on reel five, and depending on how many you collect, you will receive different kinds of expanded wilds. Do note that these do not always land as a complete symbol on the reels. The Stacked Hell Hound covers 2 symbols. The Stacked Jack’o’lantern will cover three symbols. Now, this is the one you want! When it lands, it will Expand to cover the entire reel, guaranteeing a full reel of wilds. Like with the normal wilds, all expanded wilds will move one pace to the left, granting a re-spin. 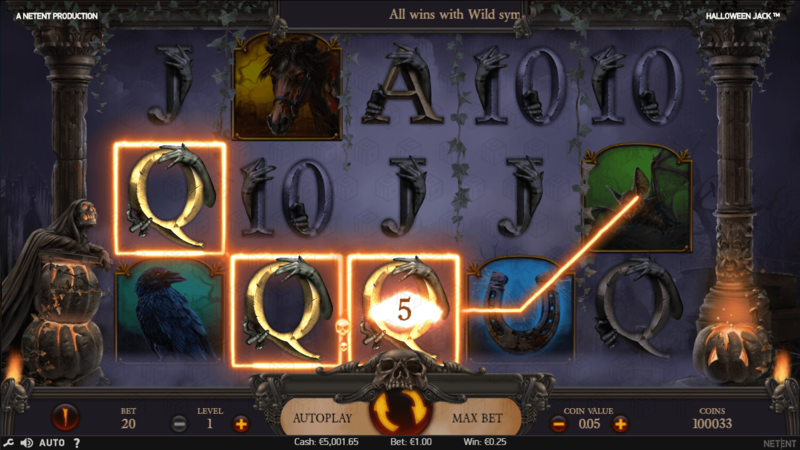 Landing three scatter symbols during free spins will grant an additional five spins. 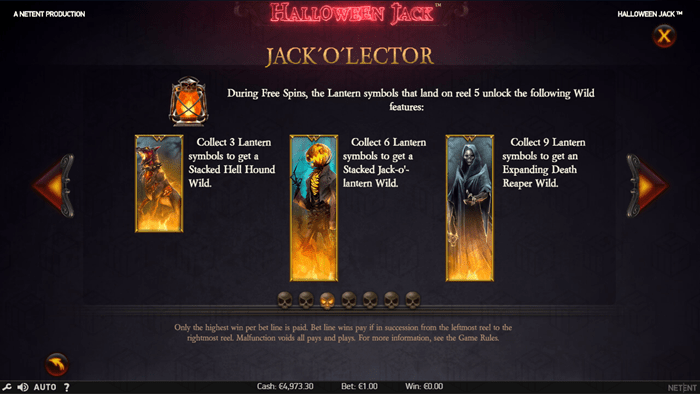 We love the design and theme in Halloween Jack. But in regards to mechanics, there’s not a lot of innovation going on to be quite frank. 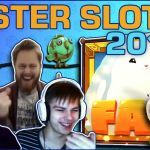 That said, this is a very timely themed video slot, so Netent’s intentions with this game are very clear: A seasonal slot with great graphics and familiar features. The game is not planned to be launched until Halloween, so hold your horses people!